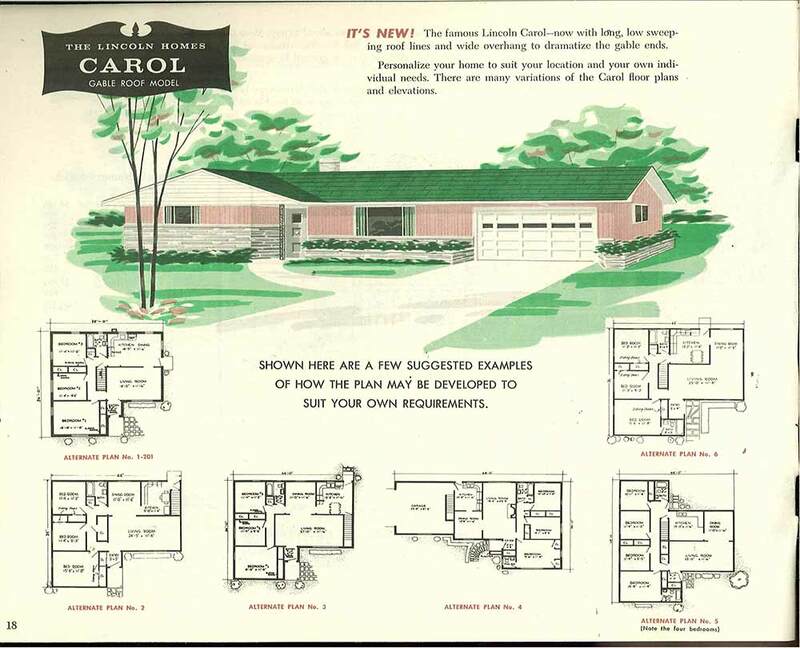 The idea of building the shell of a house in a factory has entranced American home builders for decades. 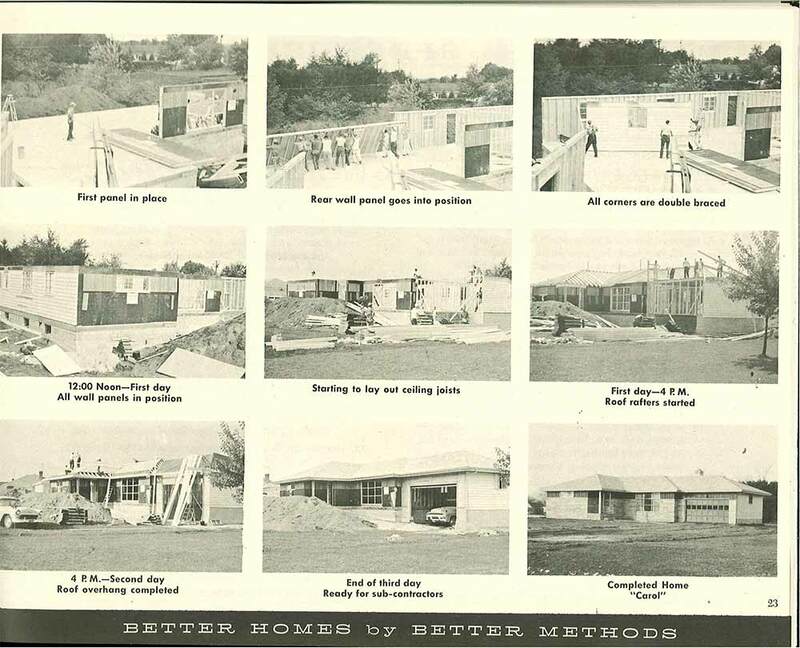 Hodgson Houses claims to have made the first prefabricated homes in the U.S. 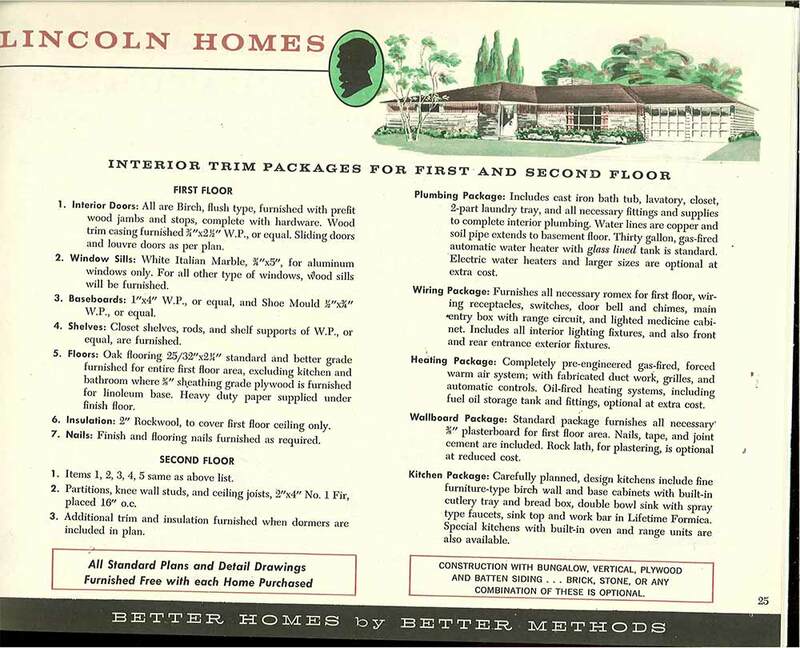 The Aladdin Company, out of Michigan, was building kit houses as early as 1908. 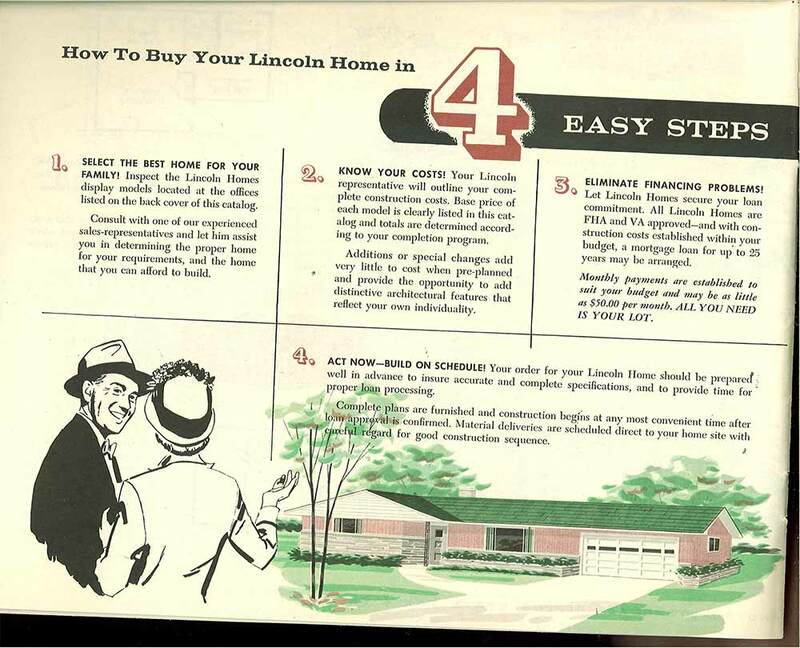 Sears offered them, too. 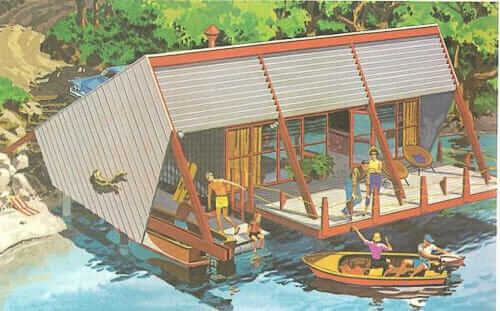 In mid century America, we’d say this fascination was as strong as ever. 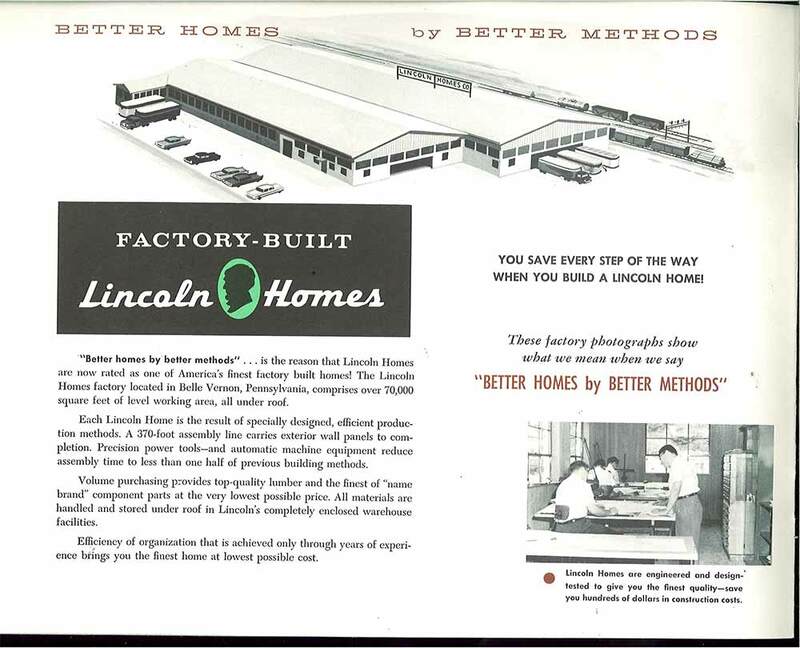 The country was focused on scientific production methods… There was sheet metal and factories to put to work… And most importantly, the biggest housing boom in American history was “on.” Put these factors all together and: Lots of experiments in factory-built housing. 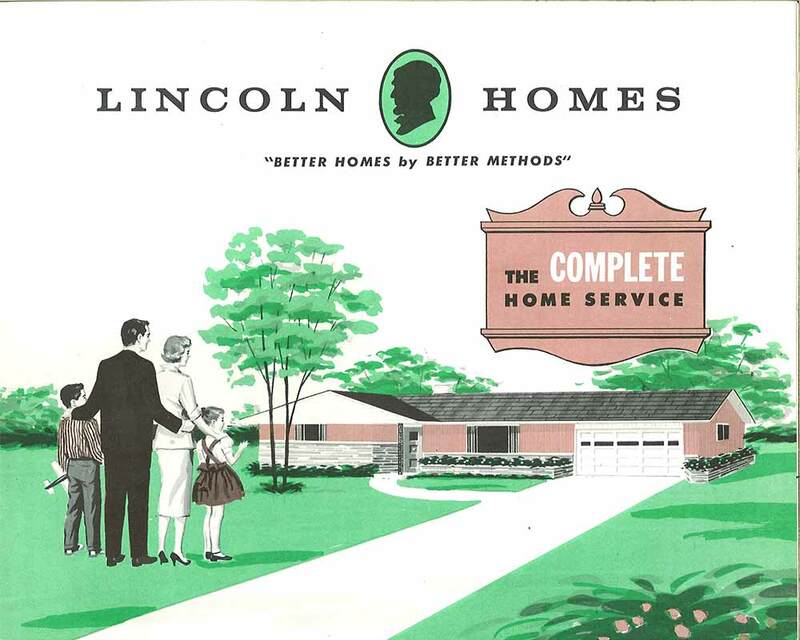 So it’s great fun to look at today’s catalog — 28 pages of houses manufactured by Lincoln Homes in 1955. 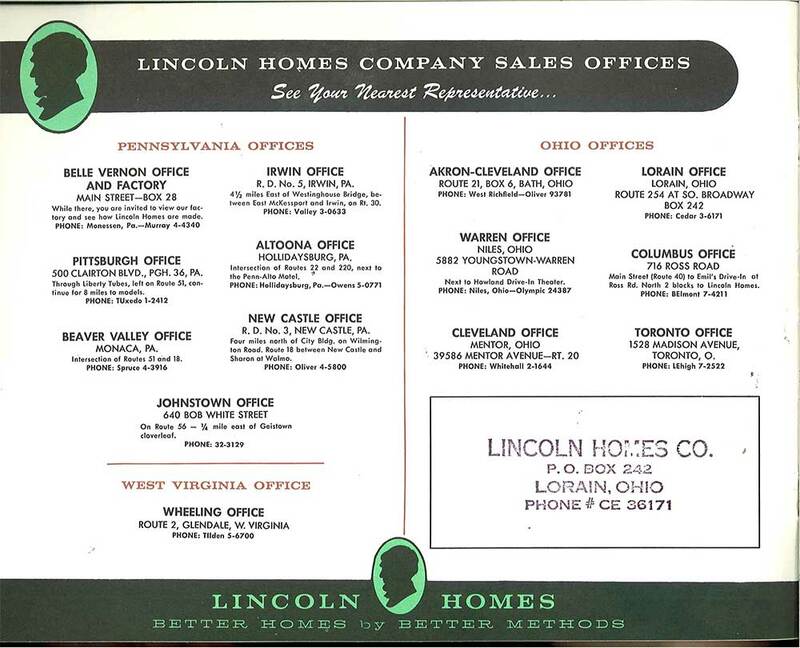 They were based in Belle Vernon, Penn., and it looks like they sold into Pennsylvania, Ohio, and a bit of West Virginia. 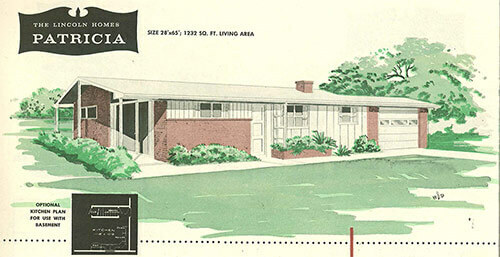 These houses are such classic mid century modest houses … and inspecting the illustrations, you can get lots of ideas for siding, masonry, shutters, and other features to improve the curb appeal of a small house. 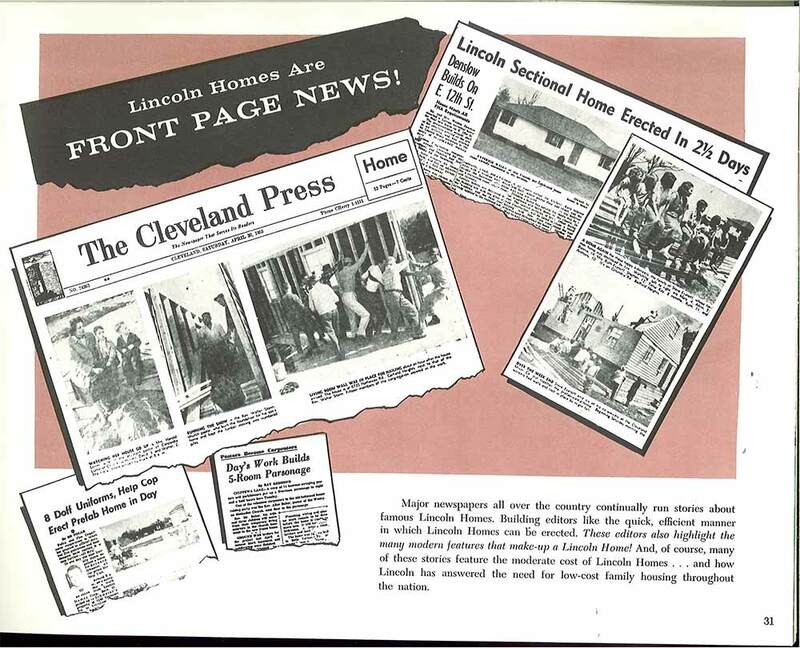 Above: Photographic proof that Lincoln Homes go up quickly. 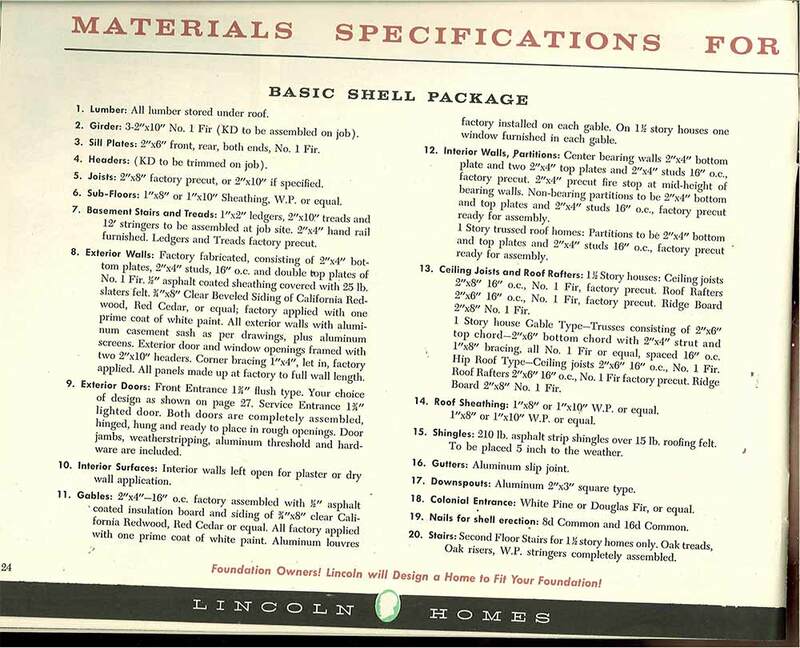 Seems like they gave you everything for the shell, plus the kitchen cabinets. You then used subcontractors for the rest. 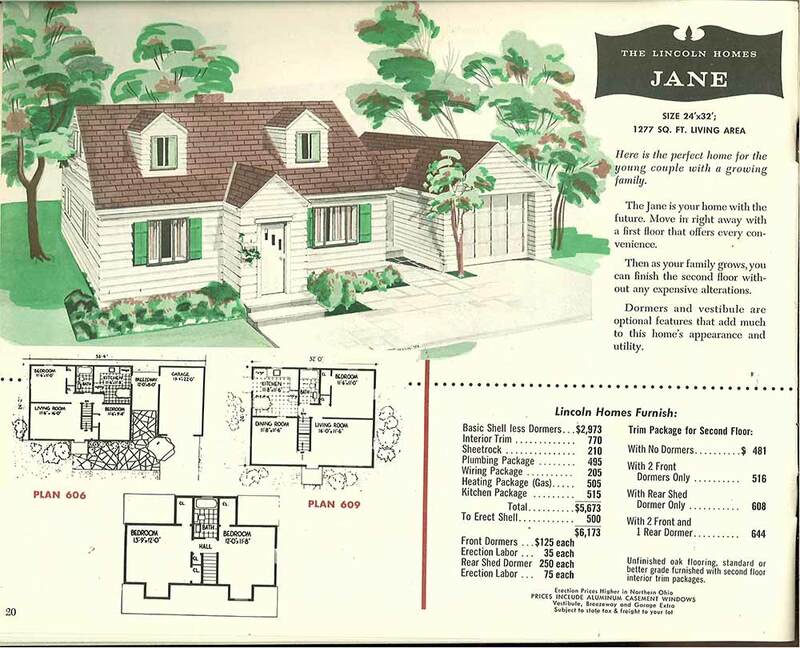 Now the only problem is deciding which one of these delectable styles would be the most wonderful to inhabit. I’m calling out just some of my favorites — there are even more in the slide show at the end of this story. 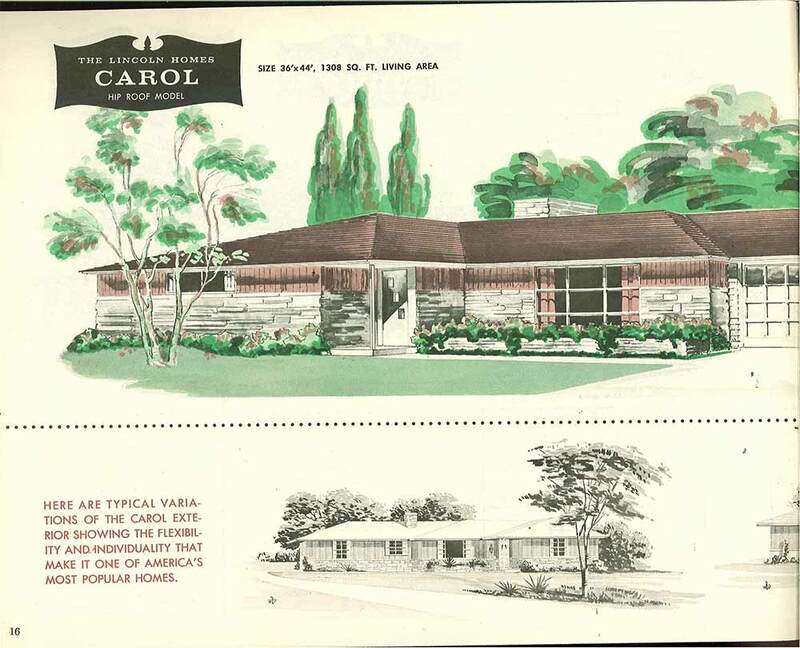 Above: The Carol has a nice long and low profile with just enough interest — generated by stone built in planters and a two-leveled stone knee wall — to be a quintessential mid century ranch. 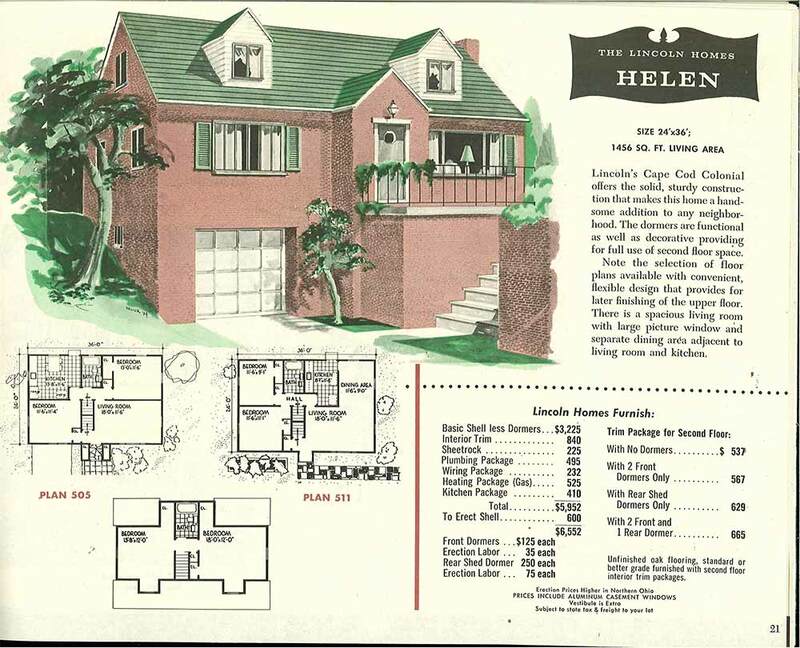 If your taste is a little more traditional — why not go for this lovely cape cod style two story. The gabled windows, jutting entry and possible sunroom or breezeway between the house and the garage make it particularly charming. 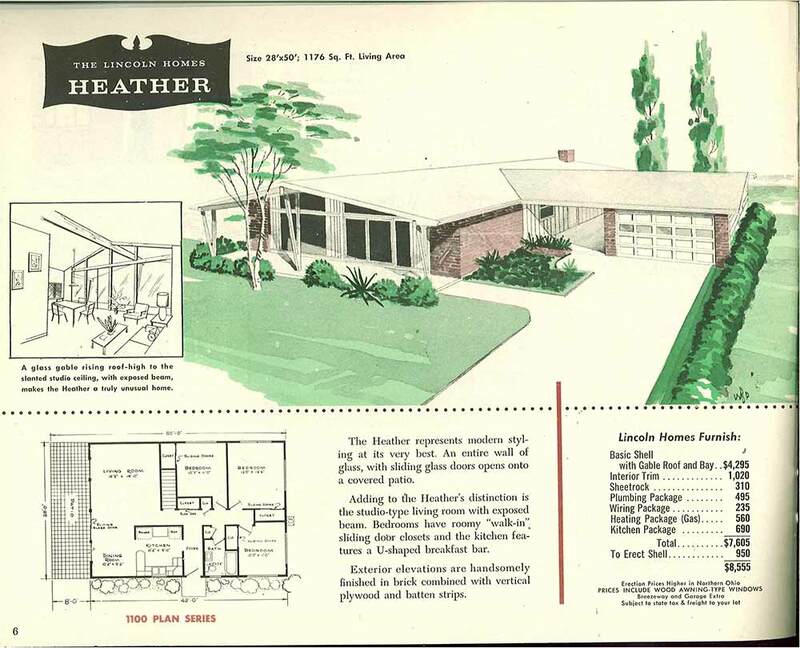 The Heather is a much more modernistic style for the time — though it gets a breezeway, too. Notice how the front, plant lined walk creates a small patio next in front of the wall of windows. 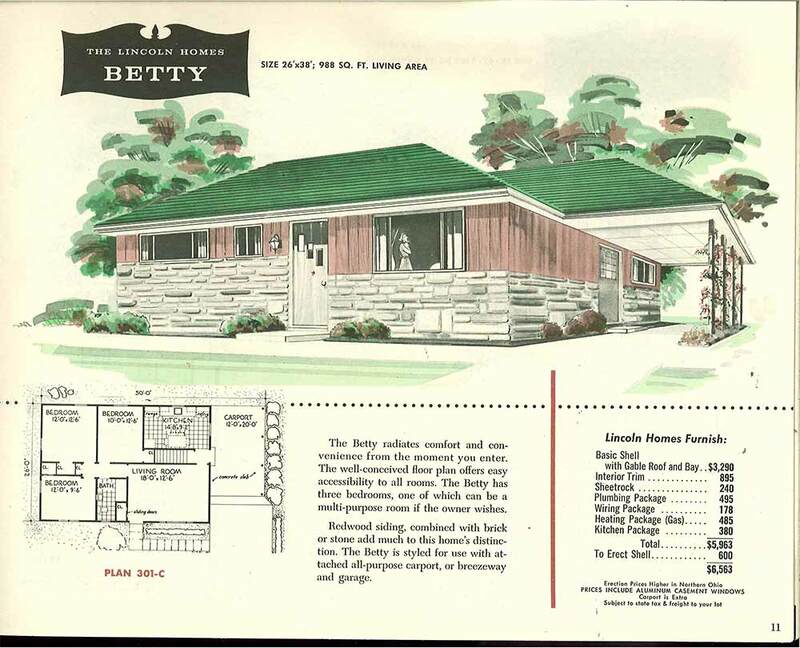 The Betty is a ranch that looks like it’s designed to fit on a narrow lot. 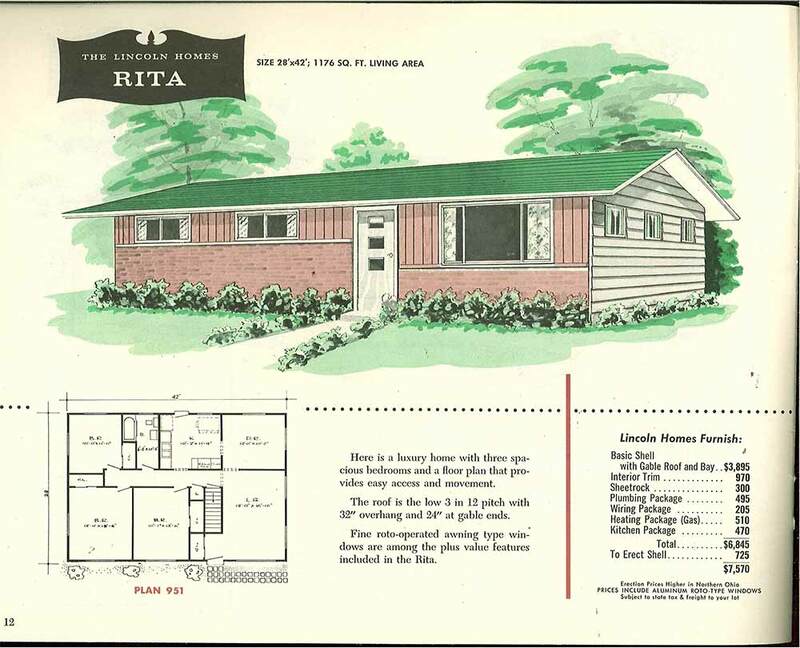 Its hip roof masks its narrow profile (versus having you look at the side of a gable end, as you see in many southern shotgun cottages.) 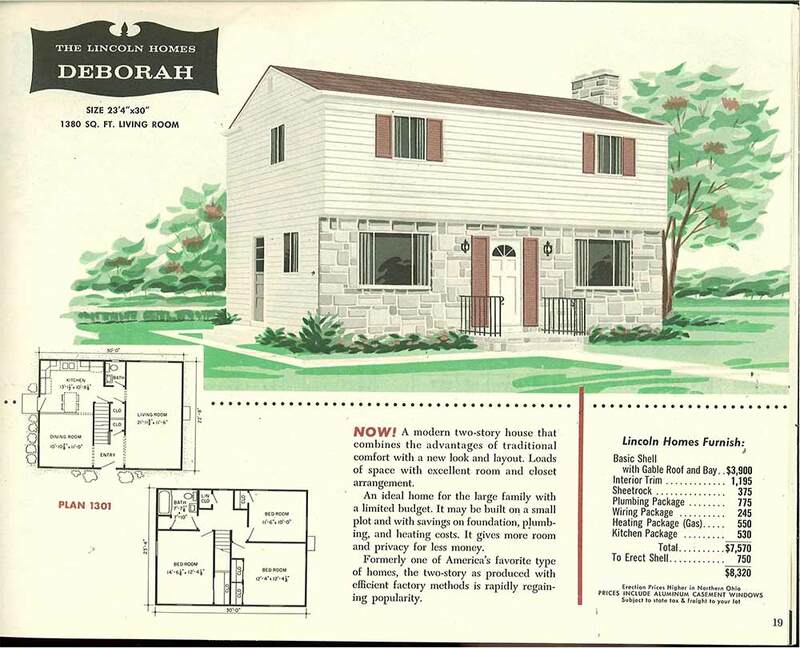 Also notice how the home designer has made the stone wall at two different heights on the front of the house — which in turn makes room for a large picture window on one side and smaller bedroom windows on the other. 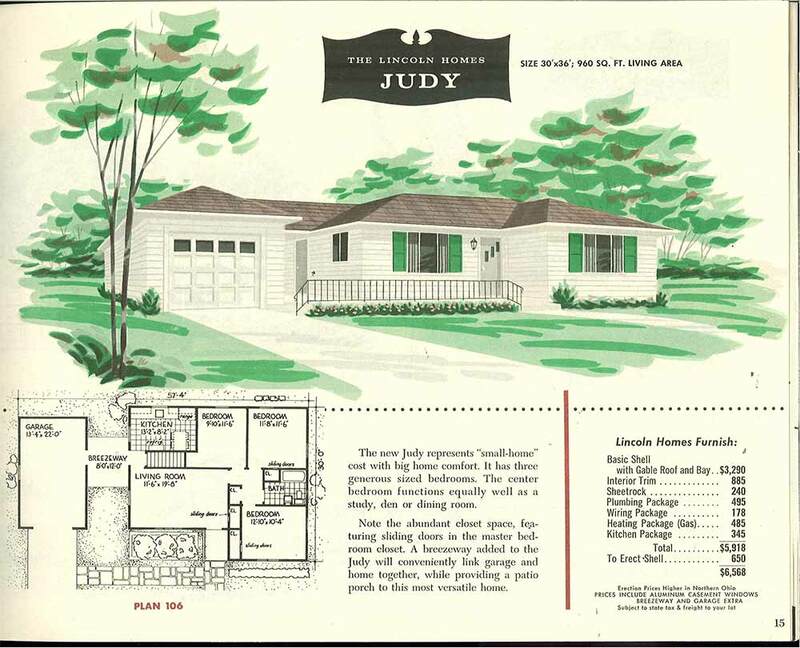 Balanced asymmetrical design details like this are very true to mid century style — the challenge was to figure out more, novel ways to make a small box not look so much like a small boring box. The Patricia is such a sweet ranch — a built-in planter and cute ladder support greet visitors as they approach the front door. 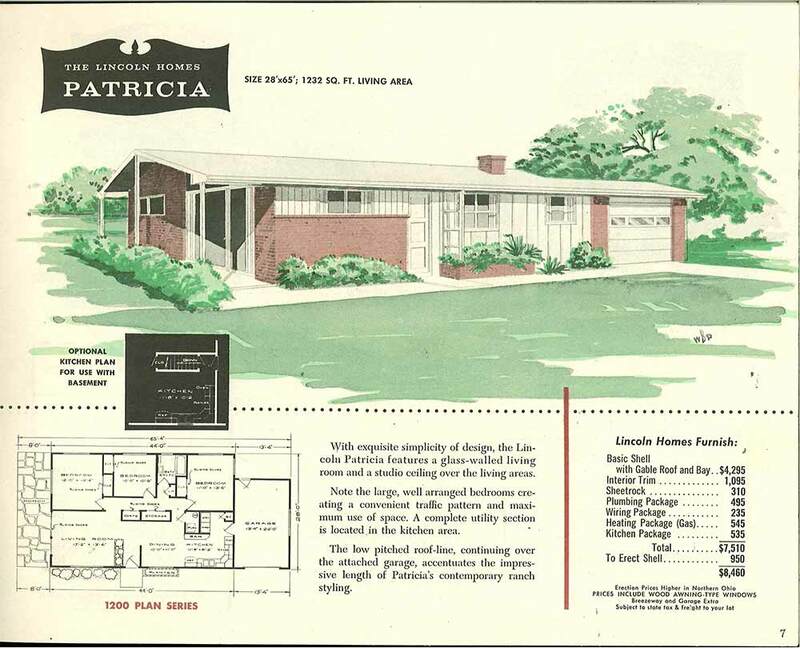 The house is very balanced — the ratio of darker brick to white siding is spot on. 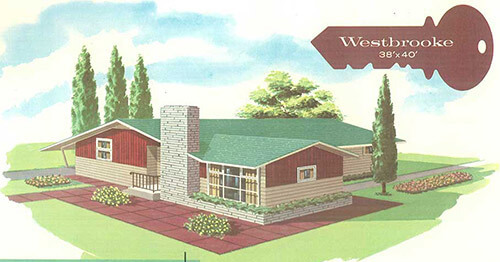 The strong horizontal lines of the roof and brick facade are balanced by the verticals in the board and batten siding. Very nicely done. We love vertical board and batten on a long low ranch — keeps your eye moving. hmmm. Design critic here. 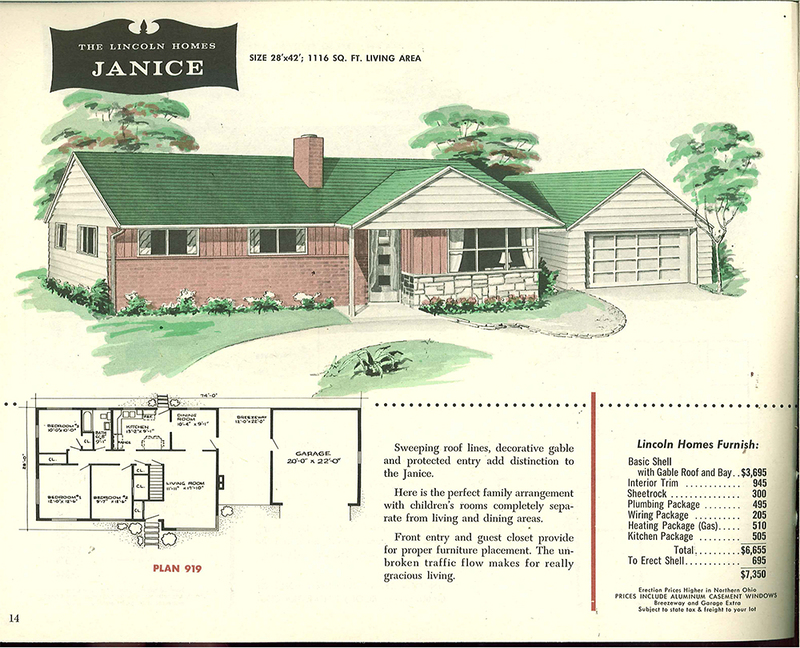 It might be that Janice has a leetle too much going on when it comes to varieties of siding and masonry. Maybe keep it to just four — even three key materials? 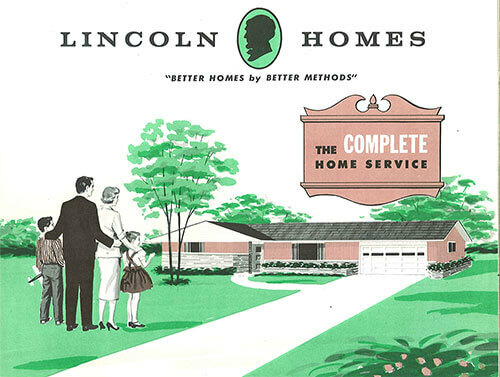 And, the more materials you use, dial down the color combos? 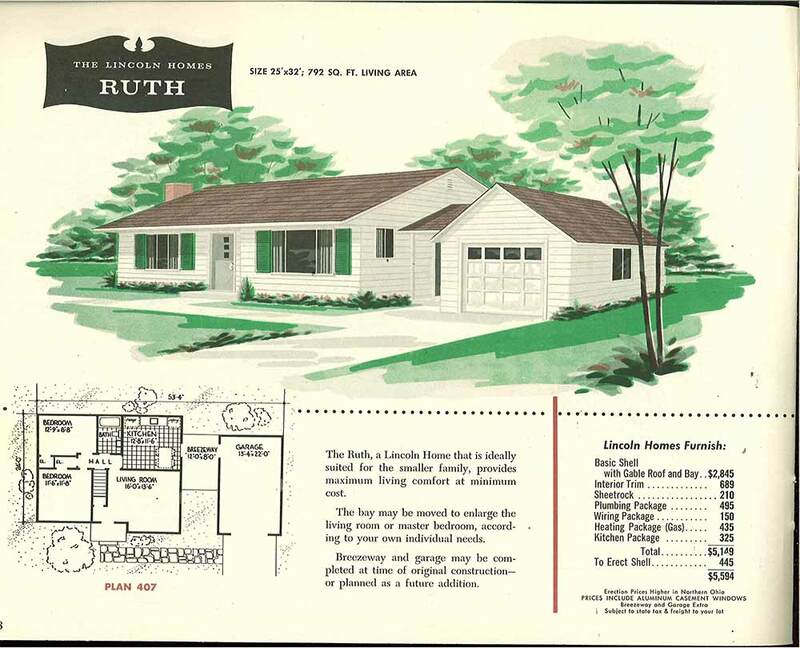 Even so, this house has much fundamental charm. 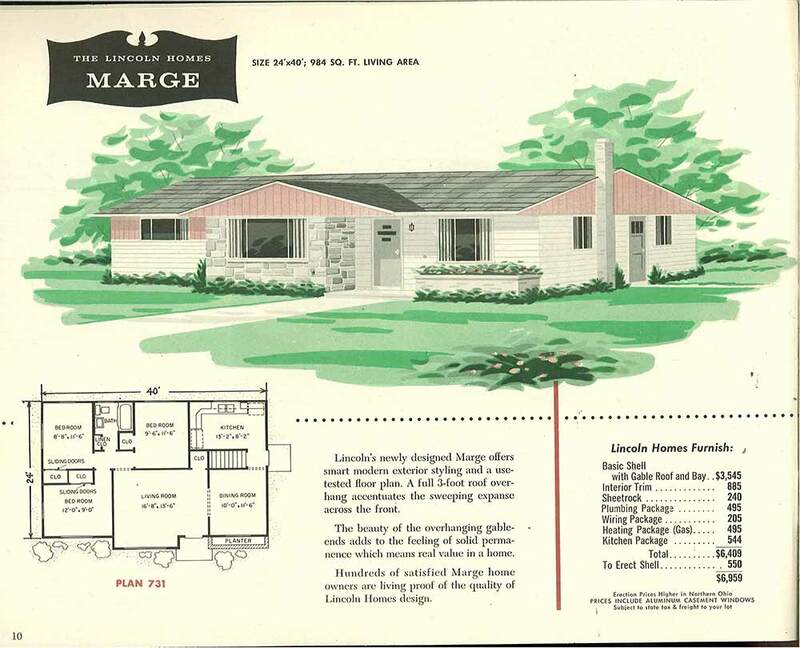 And here is Marge — don’t you just love the front door, the bumped out stone and picture window combination, the built in planters, the gently sloping roofline? 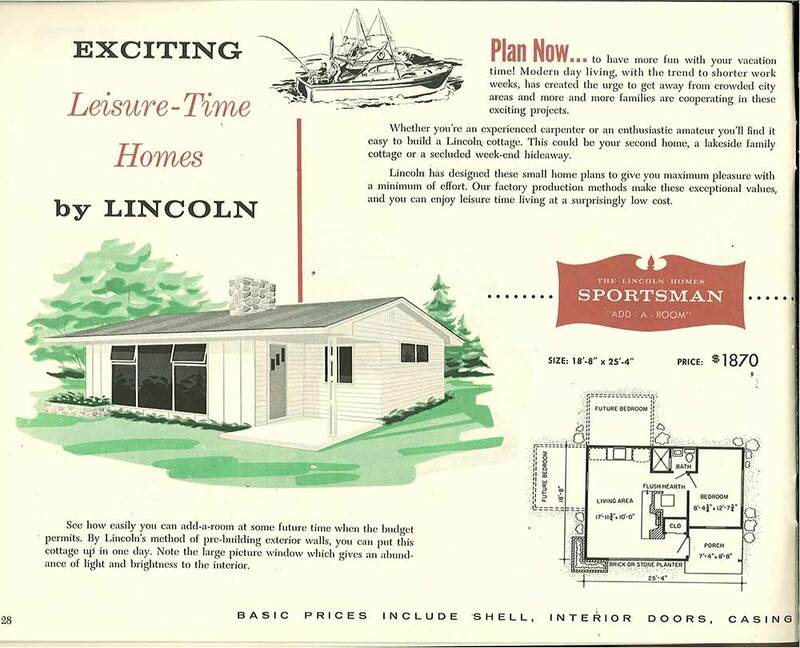 Lincoln Homes also offered several small, factory-built vacation houses — like this cute Sportsman model, above. 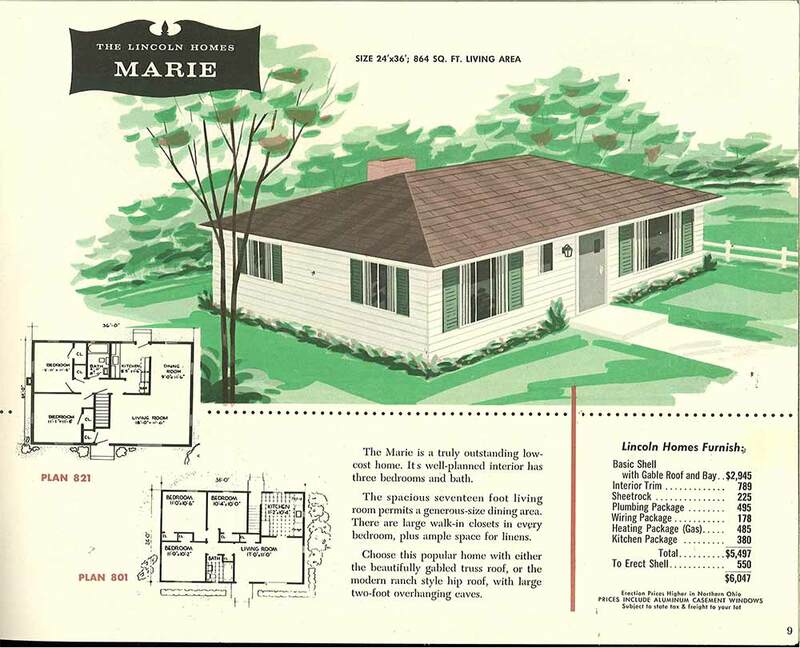 Even the miniature house plans are big on style. 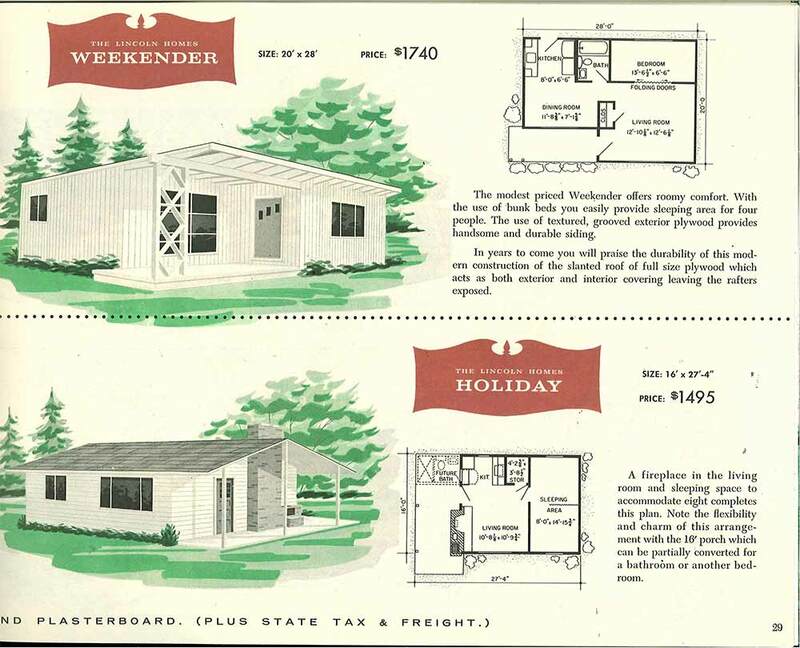 Who wouldn’t want to take a holiday in this cute little ranch? An exposed chimney adds interest to the porch that runs the entire end of the house — a perfect place to line up the metal lawn chairs and enjoy a cocktail. When the weather tuns chilly, head inside and warm up by the fire in this cozy and quaint house. 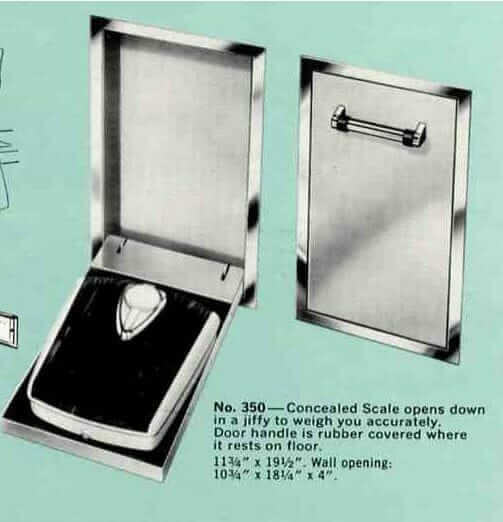 Thanks to MBJ Collection, contributor of this catalog via archive.org for sharing and making this catalog available via Creative Commons License. 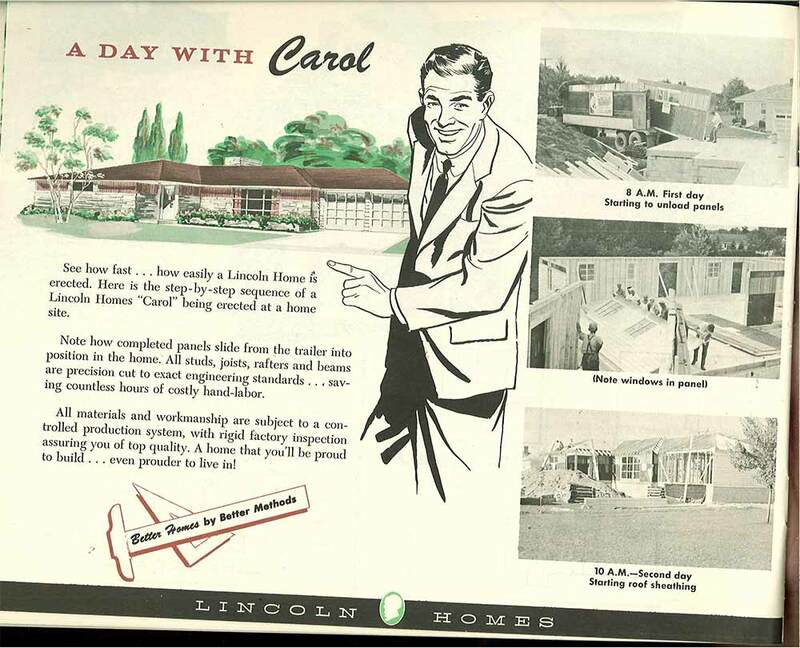 Do you have any catalogs I can order of your homes? 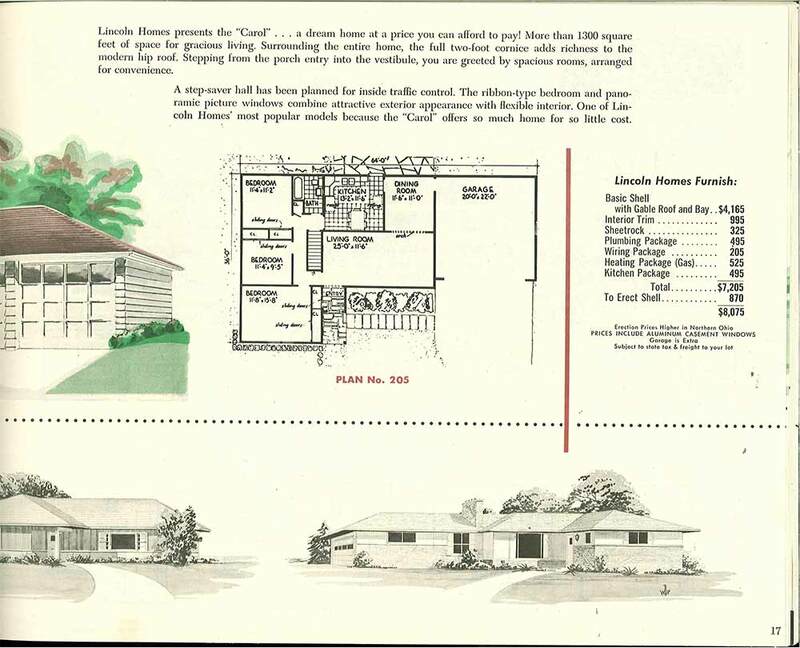 We are looking to downsize to a 1200 sq ft. home and my husband does not do computers. He likes the books better. I do not sell anything. 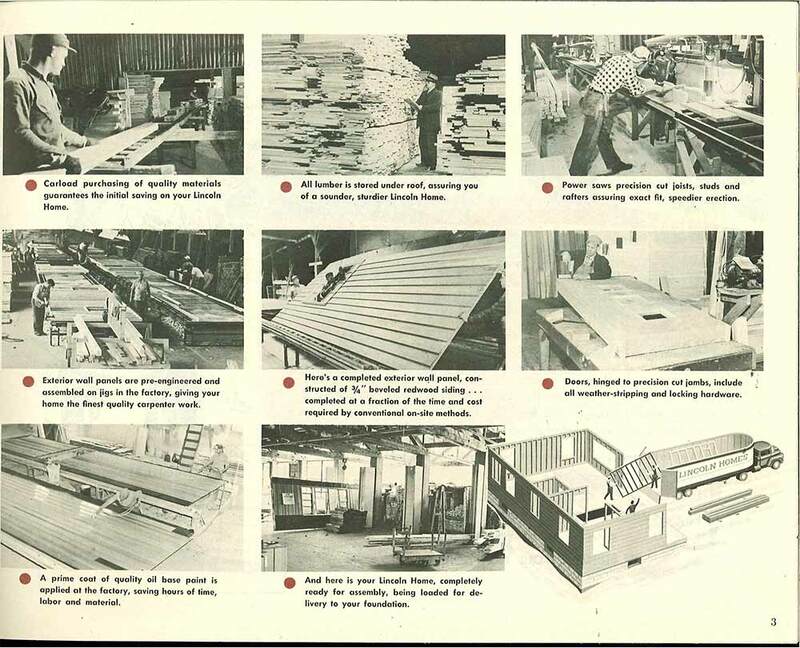 These are images from a vintage catalog I found at an estate sale. I live right outside of Philadelphia in the South Jersey suburbs. 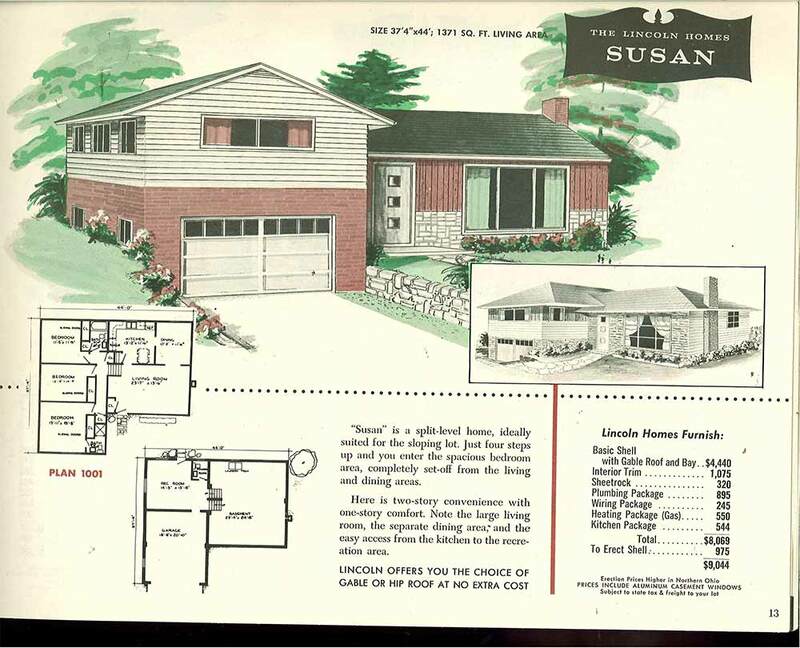 Looks like the developers built several houses on my street using the ‘Susan’. 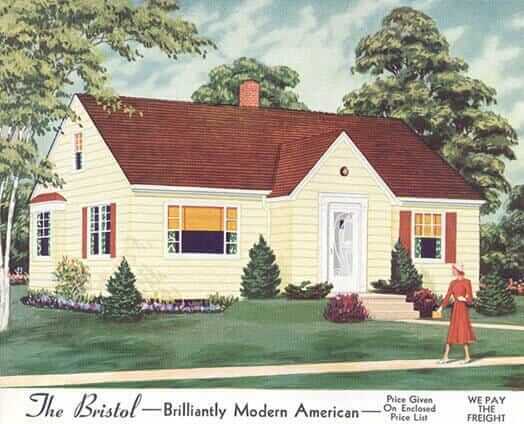 I live in the same house in the pic (cedar shingles, side doorway and split second story windows are the only difference). People are amazed at how much space is there since it looks like all garage from the street.